-->Are you missing a tooth or even a whole arch of teeth? If so, you know just how the condition affects your self-confidence. You probably even try to hide your teeth from others while talking to them. However, missing a tooth does not just affect your self-esteem. It can even result to some serious problems, such as atrophy, bone loss and teeth misalignment. What you can do is to correct the problem while you still can. By using dentures and bridges, you at least solve the problem at its root. You do not have to go through more expensive treatments just to bring back your beautiful smile. As you probably know you have two options when you are considering dentures, partial dentures and full dentures. Partial dentures are a good choice if you only need to replace a few teeth. With the help of clasps, partial dentures usually fit well with the rest of your teeth. They are recommended to patients whose teeth are not strong enough to support or accommodate a bridge. Full dentures, on the other hand, are used when you need to get all of your teeth replaced. They are also called false teeth because of this. Dentures, whether partial or full, are affordable alternatives to dental implants. They are also easy and convenient to use and care for because they are removable. Mini Dental Implants are also offered at Shenandoah Family Dentistry which will make your denture feel more secure as it is held firmly in place. You will be able to eat comfortably, laugh and talk with confidence. Bridges are alternatives to dentures and dental implants. They are, however, different in the sense that they are usually fitted between healthy teeth to fill in gaps. So what does a bridge consist of? A bridge is designed as a combination of custom-made crowns for the healthy teeth on each side and false teeth to fill in the gaps. You can choose between permanent and removable bridges. Removable bridges are naturally less expensive. They are also easier to make. So, you will be able to use them sooner. They should also be easier to clean as they are removable. 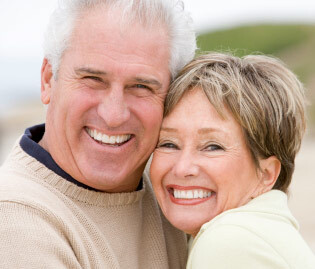 At Shenandoah Family Dentistry, you will be able to choose between dentures and bridges. Of course, there are other options to consider. Top dental practices do offer most, if not all, the possible cosmetic dental procedures that you may need or choose from. The Shenandoah Family Dentistry Practice assures you that you will be getting high quality dentures and bridges that will last you years to come. After getting that complete set of teeth, you will first notice that you regain your self-confidence. Later on, you will appreciate being able to enjoy most foods, even the tough ones. Dentures and bridges can provide you with that complete set of teeth you have wanted, and you do not have to spend a fortune on either of them.